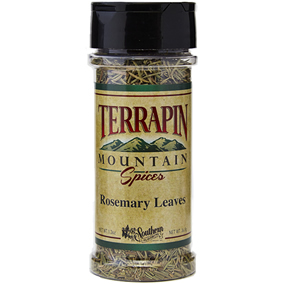 Rosemary Roasted Turkey, Appetizers & Meals: Southern Flavoring Company, Inc. 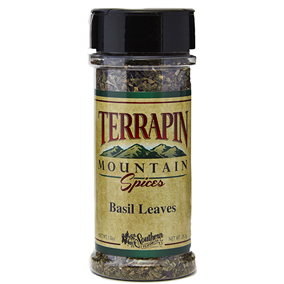 In a small bowl, mix the olive oil, garlic, Terrapin Mountain© Rosemary Leaves, Terrapin Mountain© Basil Leaves, Italian seasoning, Happy Home Black Malabar Pepper and salt. Set aside. 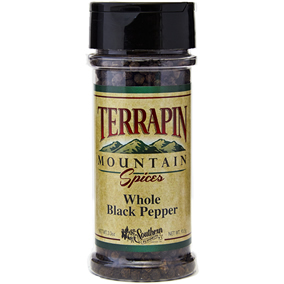 Using your hand, spread a generous amount of the spice mixture under the breast skin and down the thigh and leg. Rub the remainder of the spice mixture over the outside of the breast. Use toothpicks to seal skin over any exposed breast meat. Place the turkey on a rack in a roasting pan. Add about 1/4 inch of water to the bottom of the pan. 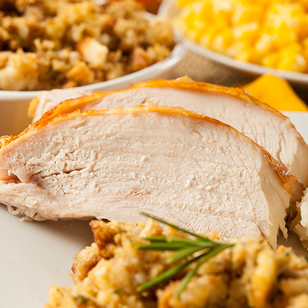 Roast in the preheated oven 3 to 4 hours, or until the internal temperature of the bird reaches 180°F.